Just bought the CD Delux version. My wife wouldn't be too impressed if I spent her Christmas present money!! I haven't received nothing not even my free download code. I emailed the voucher company and guess what? They solved the problem in 1,5 hours. Album downloaded and playing right now. Sound terrific! What has happened to U2 all the fuss with presale in USA and now people including me who have had the album ordered for 3/4 weeks don't even get it but there are loads in record shops.So take my money and make me wait. I got an email late last night I say they’ve found my disappearing order. Despite saying they never charge until dispatch, the money went out of my account when I ordered and I never received an order confirmation mail. Although I was signed in with my normal account which explains why it appeared there for a while, it’s been allocated against an email address of mine which I’ve not had for over 10 years. They don’t know how or why this has happened but my vinyl is on the way at least. Unfortunately I’ve ordered another copy which is also on its way now! I have also just had an email from the Livenation UK office asking me for more details (I'm guessing as a result of my call to CID). have ordered this jewel and still nothing here in Belgium...but they already withdraw my money so i think it won't take long anymore...i hope! 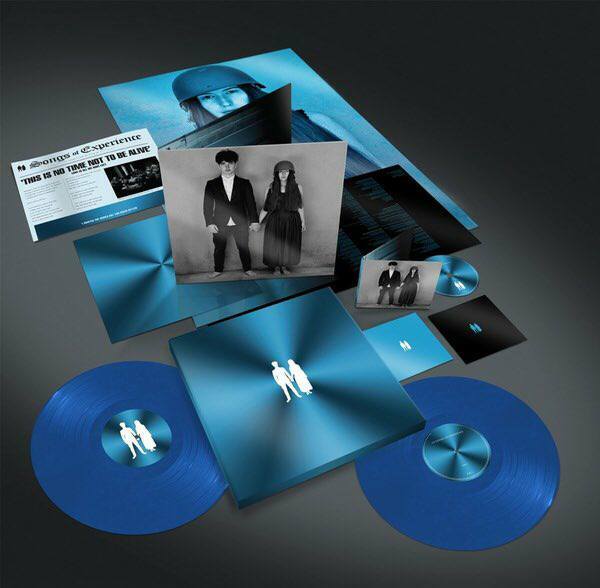 Still waiting for my extra deluxe boxset ordered via U2 here in the UK. Status was last updated on 30/11 to (unhelpfully) show the tracking number as " Royal Mail Parcel Service" and the shipper blank! Money has been taken but no sign of the product. Poor service! . Mine says the same thing shocking service.? may as well just went to a record store Friday. Still nothing today and also mine has the same thing on the tracker. 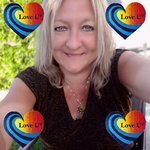 I've sent two emails to live nation and yet to have a response. The least we deserve is a full refund plus the album. I pre-ordered mine at Fnac.be for a very nice price of €68.25 (+free shipping) and received it on Friday 1. December. I'm in the UK and ordered the day it came up for order or thereabouts. No sign of it yet and it's the 5th December now. A work colleague bought the LP in a shop on Friday 1st December. Wish I'd done that now. Will do that next time. 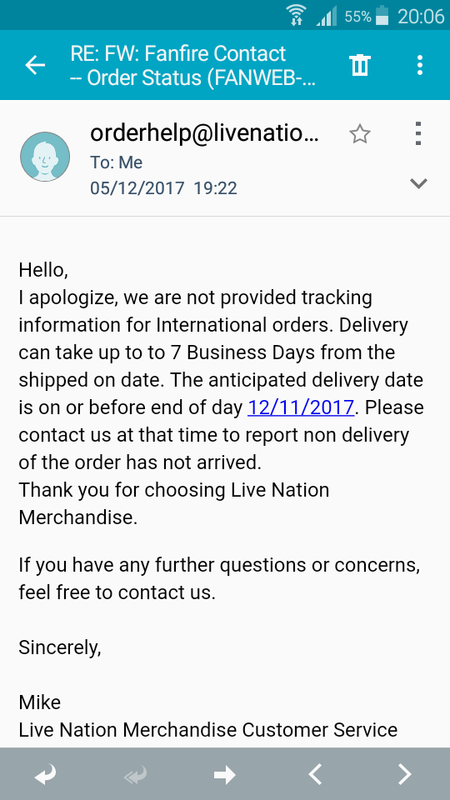 So I had to pay more so I received it on the 1st of December even though I ordered and paid for it on the 6th of November. Yes it appears that way ? I paid a total of £18 postage and still haven’t had all my items!!! Also what do they mean by ‘international orders’?! The one item I do have was posted and received in the UK, so where is the ‘international’ element?! Surely the fulfilment company could pass tracking info to live nation to then pass to customers...?! The vinyl has finally arrived.